Betting on Chance is the result of a research project that seeks new ideas and answers to achieve financial inclusion by working with and adapting services originally intended for gambling. During research in Medellin, Colombia, we found that people living below the poverty line were using game network operators as a means of conducting their daily financial activities. Network game operators are companies that specialize in managing betting and gambling games through a network of privately owned points of sales as well as affiliate independent sellers. Each seller uses a digital device or point-of-sale terminal for issuing tickets and completing transactions online. The booklet includes helpful illustrations of the movement of money. By using video-ethnographic methods, our team of social scientists and designers documented the activities of 21 informants who work in street-sales in the city of Medellin, Colombia. Why, we ask, are these game operators preferable as financial service providers for the poor? What needs do they address? 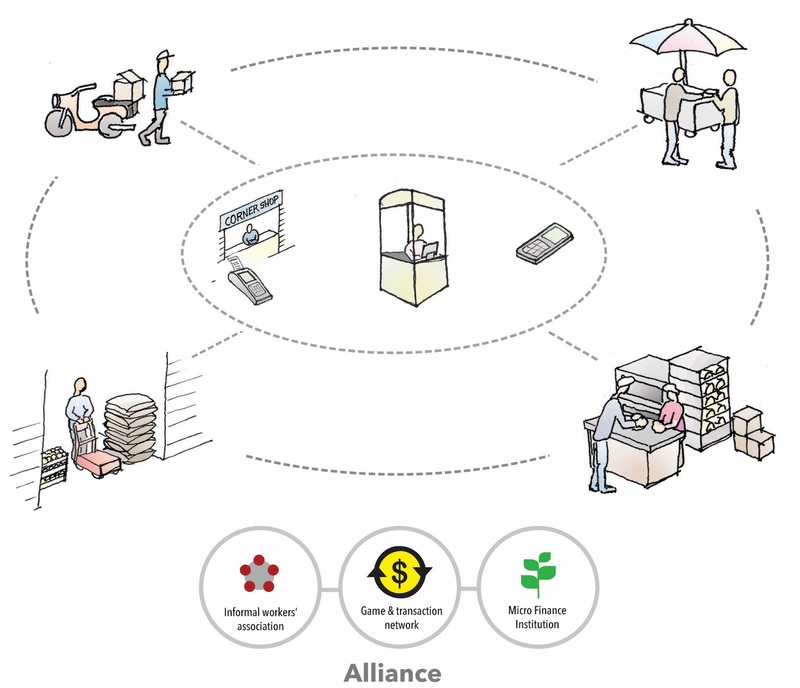 What can mobile money service providers and microfinance institutions learn from these local institutions and practices? Although this study only covered a limited geographic area in Colombia, we believe that the findings and guidelines can be applied in different contexts affected by poverty in this country and beyond. Through an exercise in design thinking, we draw attention to criteria that should be taken into account when developing new products and services aimed to facilitate the use and exchange of money among people with scarce resources. This booklet seeks to elicit conversations and the exchange of ideas across various fields including development economics and microfinance, social studies of poverty and human centered design. We hope the guidelines outlined in the booklet will help people working in the public, private and academic sectors to design alternative policies and programs to serve the common good. Our final brochure is available both in English and Spanish.